The updated MSR Lightning Ascent Snowshoe for 2019 is a must have for anyone that finds themselves snowshoeing on slick winter trails. 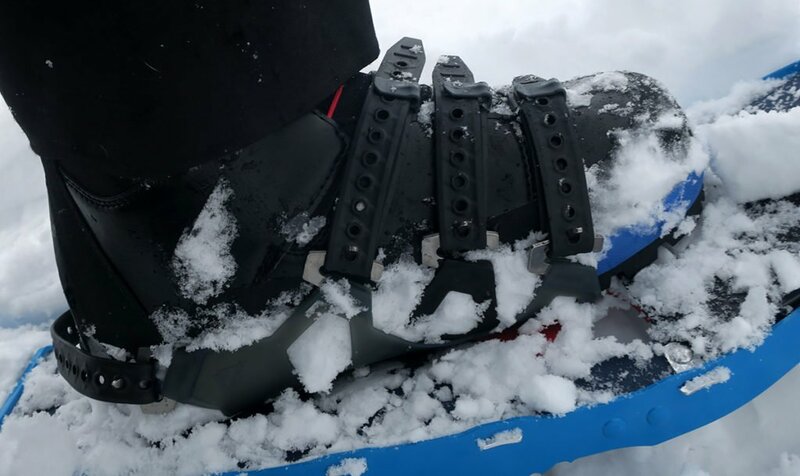 One of the best snowshoes on the market designed for keeping your feet firmly planted on the ground regardless of what the conditions outside have in store. With 4 straps that are easy to adjust, MSR’s Lighting Snowshoes can be used with just about any winter boot, shoe and even in my case snowboard boots. Some snowshoes are a pain in the but to get the straps on and off, luckily that is not the case with the Lightning Ascent. The rubber straps simply lay over your boot, and instead of threading the strap back through a buckle like most snowshoes of the past, you just pull until tight and then fold the remaining part of the strap back over the top of your boot. MSR calls this technology PosiLock™ AT bindings. 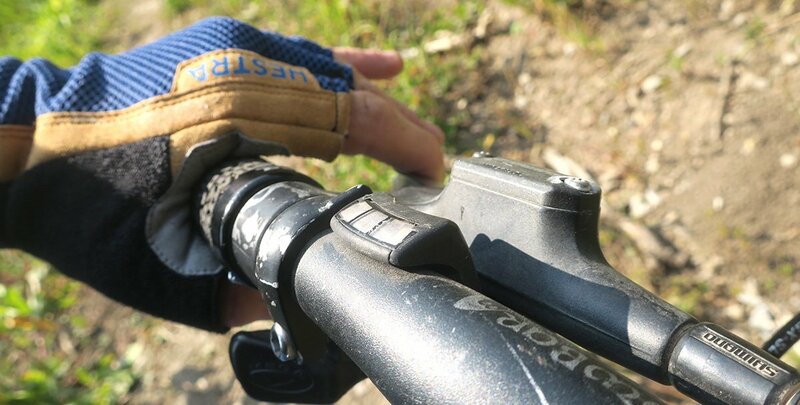 You shouldn’t have to expose your hands to the elements in the middle of winter to fuss with your gear. Luckily, opening and closing the 2 piece system on the MSR Lightning Ascent Snowshoes can easily be done while wearing gloves. For sizing these snowshoes are available in 3-lengths. 22″, 25″ and 29″. 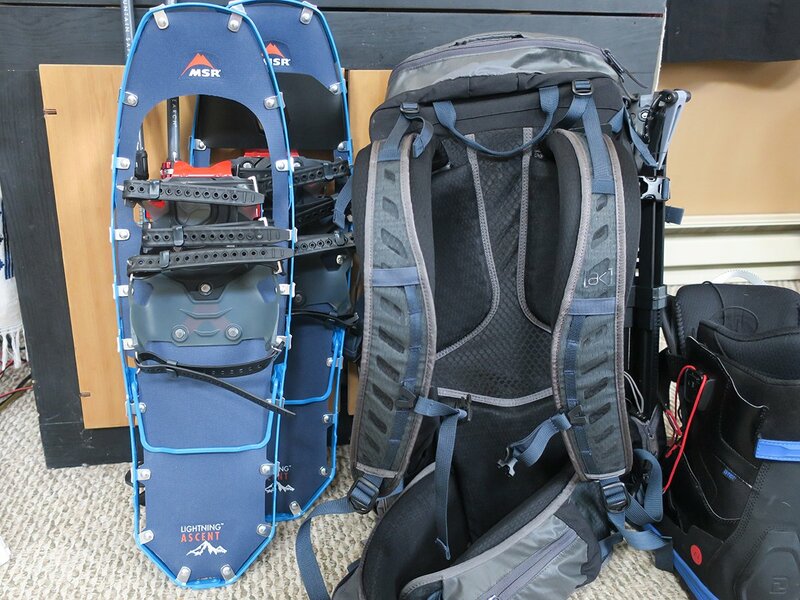 For this test, I used the MSR Lighting Ascent 25″ Snowshoes. With a thicker steel crampon than in the past, this upgraded MSR Snowshoe can take you up the steepest and burliest of mountains, while always maintaining superior traction and most importantly peace of mind. 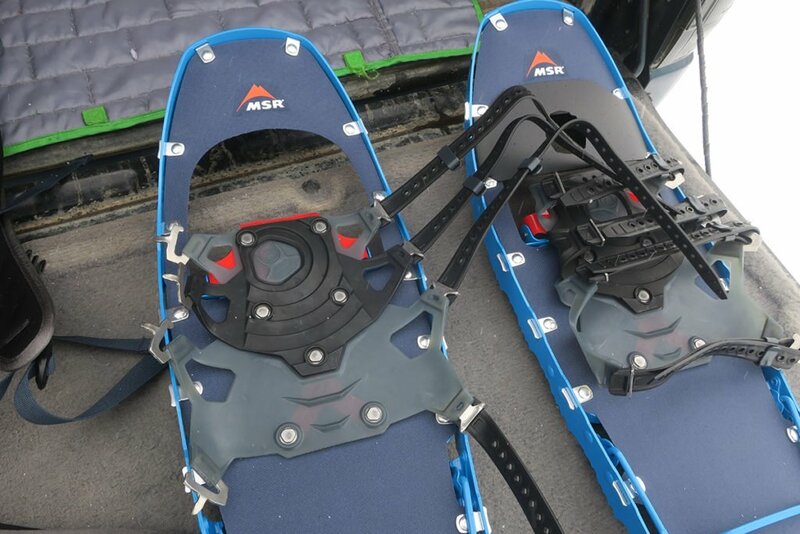 And if you really find your self pushing onto steep slopes the MSR Ascent Snowshoes come with a built-in climbing ladder. The ladder can be opened by flipping your ski pole around and using the handle to lift up. Once locked into place the stour climbing ladder does an amazing job at pushing your body forward, rising you up to climb tougher, steeper inclines. 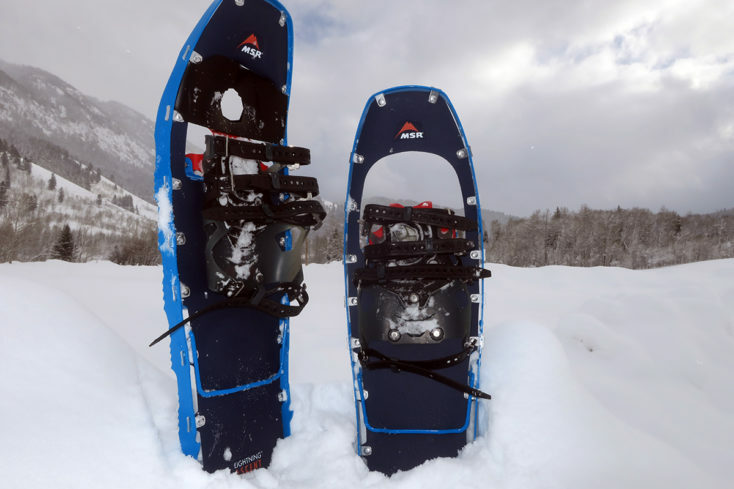 These snowshoes are durable, made in the USA and come with a 3-year warranty. Need we say more? There are tons of tools for exploring the backcountry and getting outside in the snow for exercise. 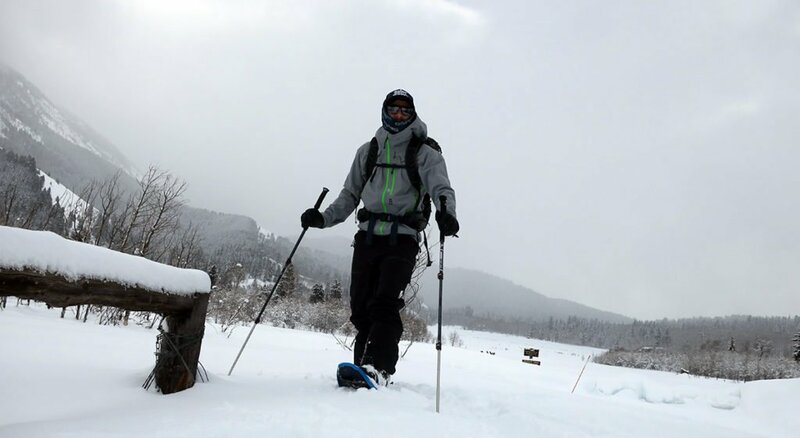 One of the oldest and most tried and true of these activities is snowshoeing. MSR really has a great product here with their popular Ascent Snowshoes. And for good reason, these snowshoes are incredibly lightweight in the 4lbs range depending on the length. Keep in mind the lengths of the snowshoe are based on weight among other factors. What’s great about the MSR Ascent 25″ Snowshoe ($299.95) is it has a weight range of 120 – 220 lbs, making it a great size for just about anyone looking to spent time recreating outdoors. 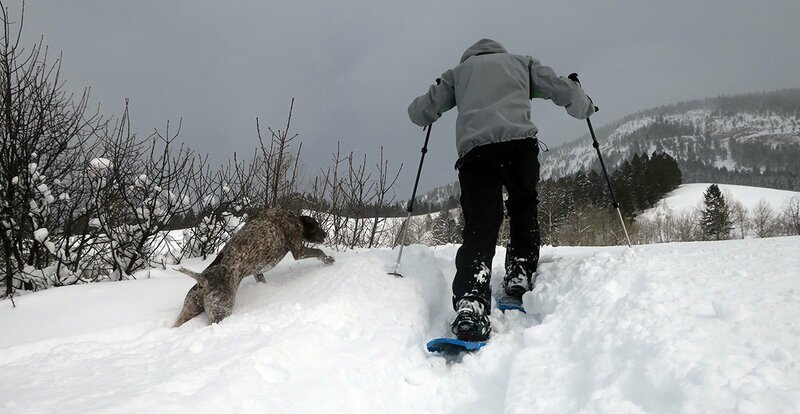 Lately my favorite thing to do with these snowshoes is to take my dog for long walks on forest service trails, hopefully, you will get as much enjoyment out of the MSR Ascent Snowshoes as I do. Last but not least: MSR makes some killer poles (Dynalock Explore Pole – shown above) to go along with these snowshoes for the perfect snowshoeing setup. Claus, thanks for the email. The tails do not come with the snowshoes. If you are wanting us to review the accessories let me know.